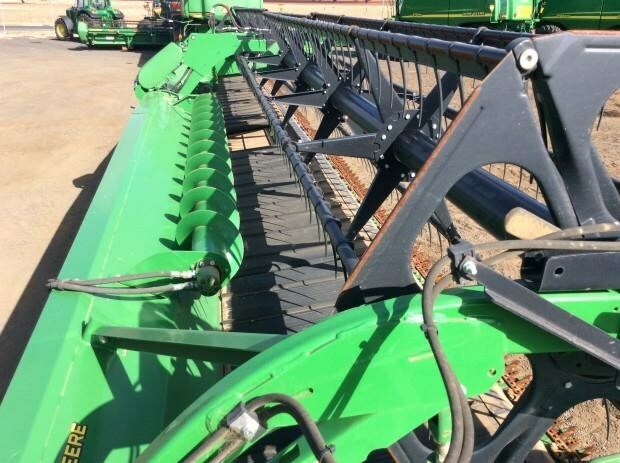 John Deere Harvesting Flexibility where you need it the most. 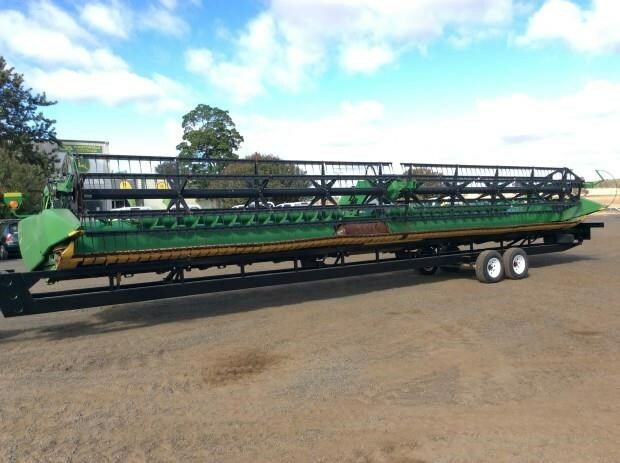 All harvesting productivity and efficiencies start with the front. 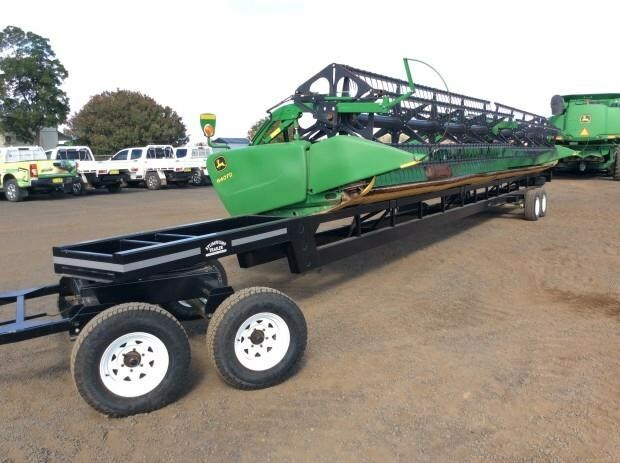 Receive industry-exclusive Hydraflex technology with the John Deere 640FD Flex draper. 19cm float range provides exceptional cutter bar flexibility throughout the full working range. Switch between flex and rigid modes with the push of a button. 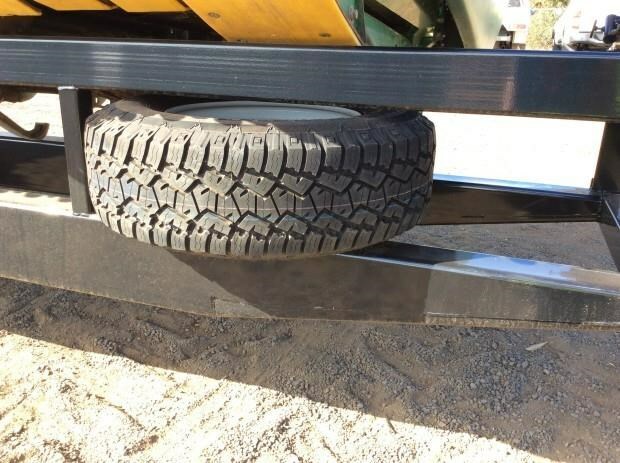 Full poly skid shoes provide easy glide at all speeds. 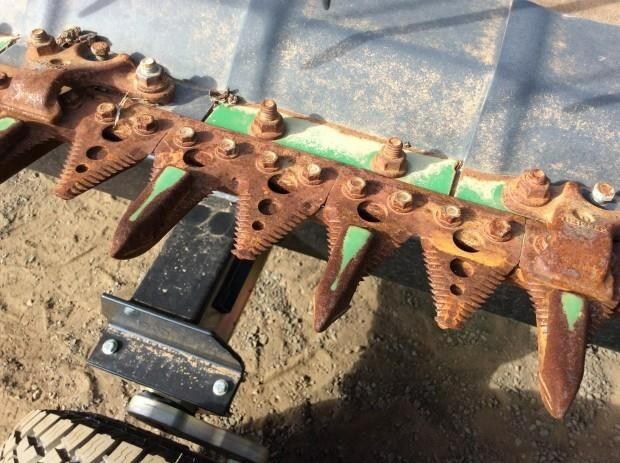 Timed dual knife drives give smooth operation. Durable poly-tine split pickup reel. 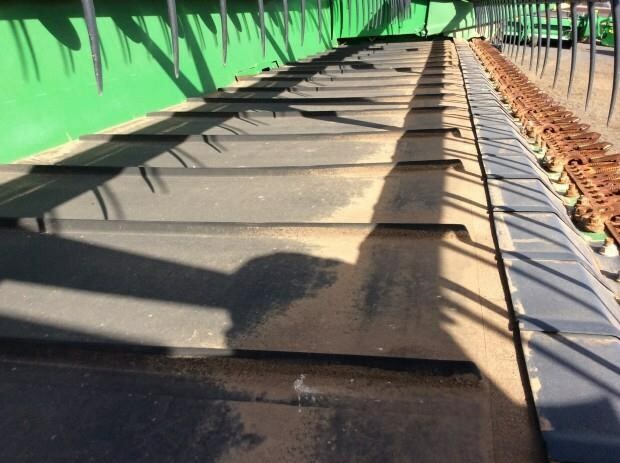 Comes with top crop conveying auger for smooth even feeding. 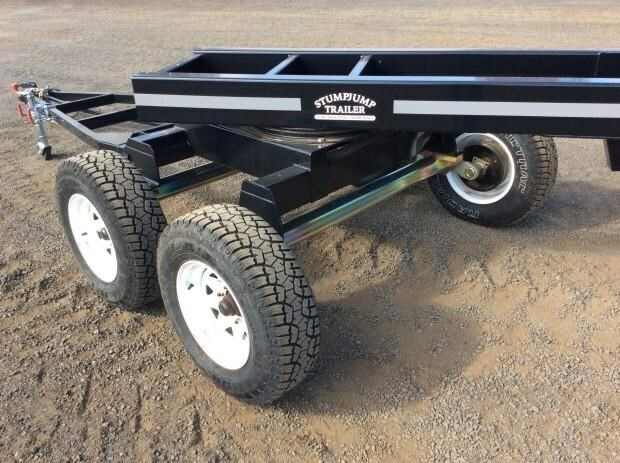 Brand New Stump Jump bogie axle trailer with lights, oversize sign and spare tyre included. 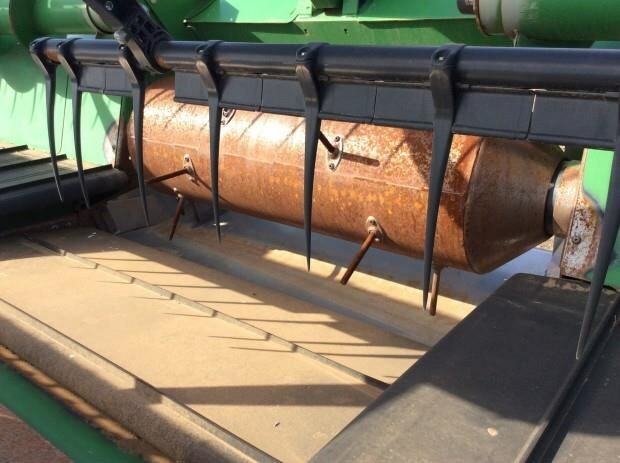 Compatible with John Deere 70 Series and S-Series Harvesters. 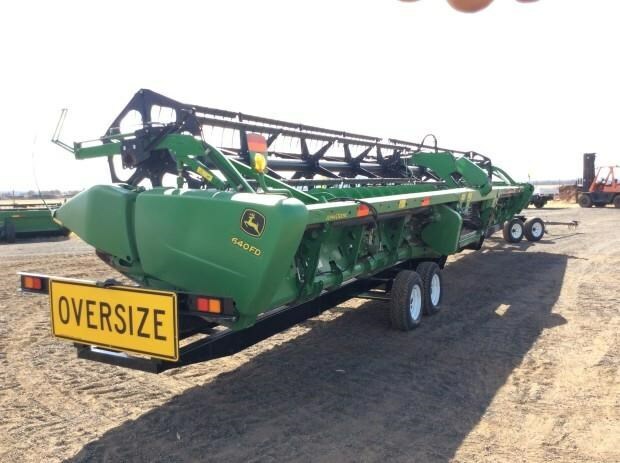 2012 John Deere 615P Canola front, Unit only done 1,200 acres since new, been in shed last 3 years and no longer needed. 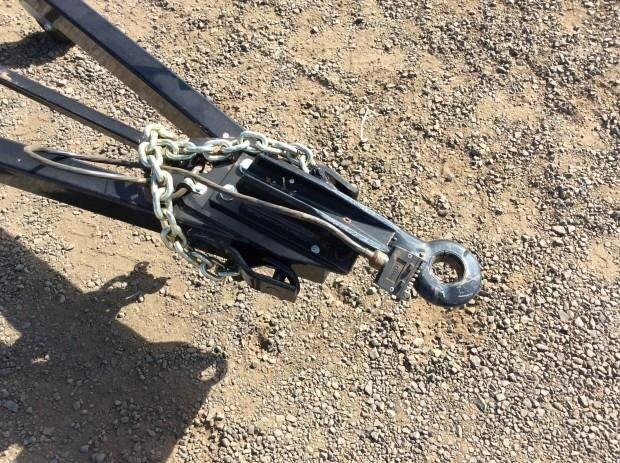 15ft Dual belt pickup. 26" Auger. 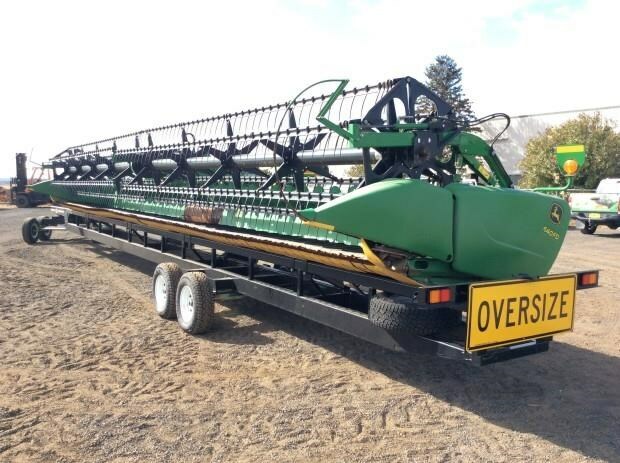 Came of a 9670STS Harvester. Definitely suit new buyer at a discounted price.